Port Harcourt has been my business home for decades. Was great to hear the “Thank you” chants today. As you have chosen PDP, on February 16, go out, vote and #DefendYourVote. 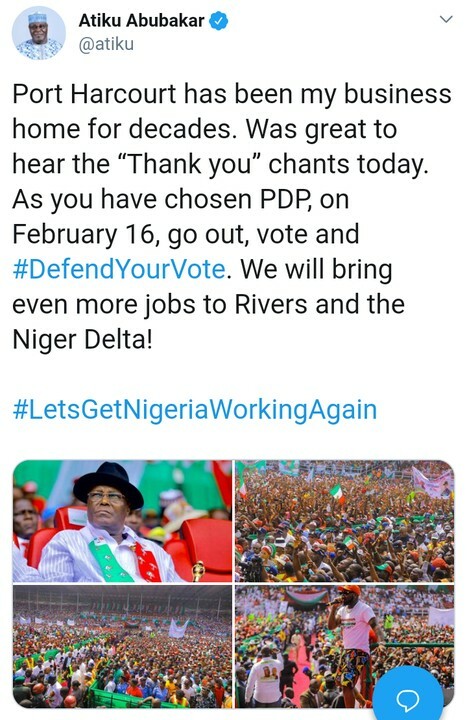 We will bring even more jobs to Rivers and the Niger Delta!